The NIH’s All of Us Research Program has awarded a total $28.6 million to establish three genome centers nationwide. 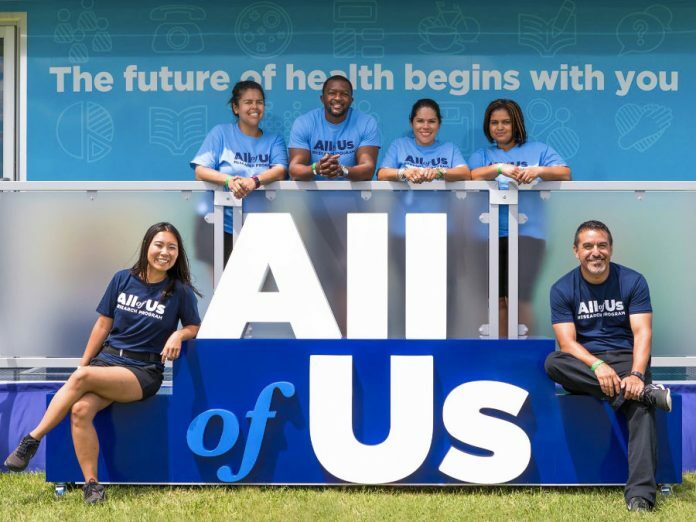 All of Us is the research cohort piece of the Precision Medicine Initiative (PMI) designed to glean health and wellness data from 1 million or more Americans. The funding is intended to enable the three centers to begin generating genomic data from biosamples contributed by program participants, the NIH said. The genome center awardees were selected based on their track record at generating genomic data at scale, providing clinical validation services to verify medically-relevant variants and participating in large-scale research collaborations, the NIH said. The award designation periods may extend up to five years, based on progress and the availability of funds. “Bringing on these new partners is an important milestone for our program as we look to add genotyping and whole genome sequencing data to the many other data types we’re already collecting,” Eric Dishman, director of the All of Us Research Program, said in a statement. The genome centers will ramp up operations in coming months, the NIH said. In addition to producing genome data for researchers, the centers are supposed to analyze data for genetic results to be responsibly returned to participants who are interested in receiving them. Initially, the results will include information about the American College of Medical Genetics and Genomics’ ACMG59, the set of 59 genes known to be associated with risk of diseases amenable to prevention or early diagnosis. The genome centers also will return information about drug-gene interactions that hold potential for inform clinicians on medications that may be best suited for particular conditions based on participants’ genetic makeup. In the future, information about participants’ ancestry and traits will be available, the NIH said. More than 110,000 people have registered with All of Us, and more than 60,000 have completed all elements of the core protocol, according to the NIH. All of Us participants are asked to share health and lifestyle information, including online surveys, data from electronic health records (EHRs), and blood and urine samples—all of which, the NIH has said, will continue to be collected over the course of the program. Over time, participants are expected to continue sharing information through additional surveys, biosamples, fitness trackers and more. The de-identified data will be accessible to researchers, with the goal of developing tailored treatments and prevention strategies. The NIH has also committed to providing participants access to their data responsibly, saying that All of Us later this year will announce it is soliciting proposals for agency funding for genetic counseling resources.